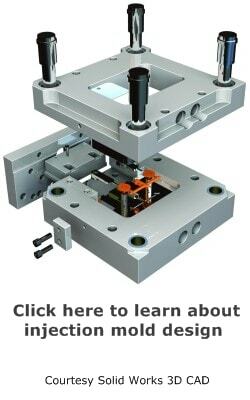 Any modern injection mold making, tool and die making or precision machine shop uses CNC grinding machines, even if it not in their own shop. Many of the components that are outsourced are manufactured using these highly accurate and efficient precision tool grinding machine tools. Two types of CNC grinders that are very useful for general toolmaking are the CNC surface grinder and CNC ID/OD grinder. 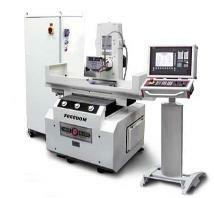 Both of these machines have been developed for toolmaking applications, and are very adaptable. Surface grinding is an essential part of toolmaking, so it only makes sense to improve on the tried and true manual methods. One practical use for CNC in grinding is the dressing of contours on the wheel. This is typically a tedious process that also requires a substantial amount of experience and skill to perform accurately. The canned cycles for wheel dressing can eliminate this rather expensive step in the surface grinding process. Having the ability to dress radii, angles and angle/radii combinations can be a real time saver. Other typical options include plunge and slot grinding and contour cycles. Plunge grinding is always a time consuming process, but now that it can be automated, the toolmaker’s time can be put to other uses. Contour grinding is a wonderful feature as well. With a simple radius wheel, you now have the ability to produce complex contours in the workpiece. To do this manually requires multiple wheels, with various contours manually dressed on several wheels. Then there is the problem of blending the grinds together. which can be very stressful. Nearly every tool shop has a tool and cutter grinder to create one-of-a-kind cutters and sharpen worn out cutters. These grinders are ingenious machines that are capable of producing some amazing shapes and have earned their place in the shop. Once the dull cutters are sent out for sharpening, it is quite likely that they are sharpened on a CNC tool-and-cutter grinder. These machines are truly awesome. They can grind just about any shape imaginable, all with one or two different diamond wheels or CBN wheels. Special cutters are also easily made on the CNC. This would take a highly skilled toolmaker hours to do manually, but can be done in minutes on the CNC. The new generation of ID/OD grinders has many very useful features for a precision machine shop. It is possible to grind straight diameters, tapers, stepped shapes, slots and almost any type of contour. To do these manually requires considerable skill and is also quite time consuming. With the canned cycles available, a great deal of time is saved in programming. You can simply enter the details pertinent to the individual job, and the software and controller will faithfully carry out your commands. A good CNC will have a well thought out and developed library of cycles. While many smaller shops will never be able to justify the cost of a CNC grinder, they nevertheless make use of this technology indirectly. 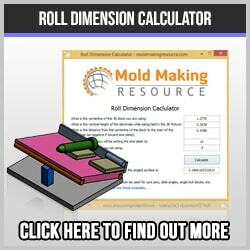 Mold bases, die shoes, and many of the various components are manufactured using one of these amazing grinders.